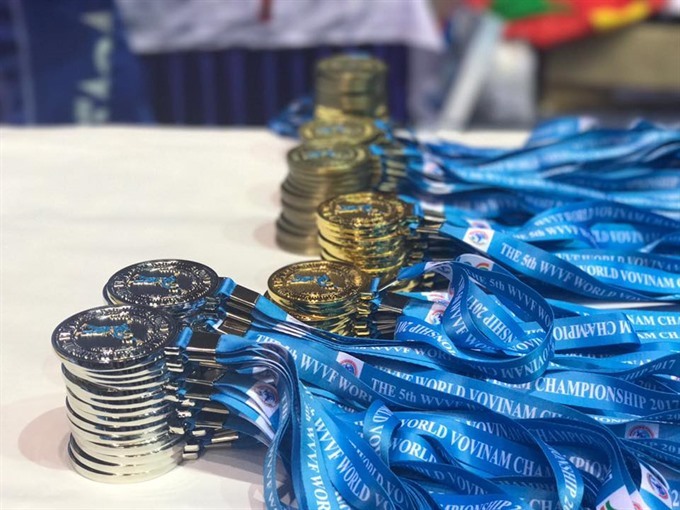 Vietnam lead the fifth World Vovinam Championship in India. The fifth edition of the competition attracted 350 participants from 19 countries and territories, who competed in 16 categories in combat and 27 in performance. Vietnamese martial artists overcame strong rivals from Iran, Russia and the hosts to bring home 17 gold medals, of which 10 were won in performance events. Algeria came second, while Cambodia were at third. The next championship will be held in France in 2019.